I've styled this top before but I found that it goes with not only an edgy rocker vibe but also boho looks as well. It was the perfect complement to this beautiful tie dye fringe skirt by Raw Girls. 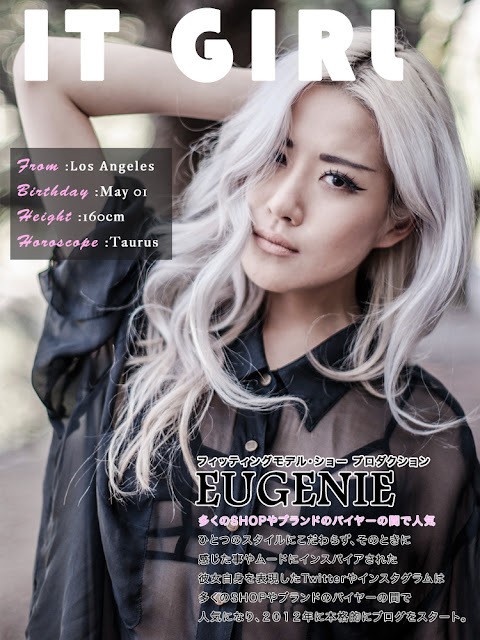 Raw Girls is a Japanese clothing company that has grown to spread to Los Angeles. I'm officially a Raw Girl now and you can see my page on Raw Girls HERE :) Other Raw Girls include Hanna Beth (@barbiebeth), Diane Rosser (@bugoboo), and Chebo (@imchebo). Check out their site and shop, I've provided the link to their US webshop below! Love the moody black & white print - It's such a great departure from traditional florals for Spring. Great styling! I'm beginning to fall more and more in love with you and your blog with each post you make. Seriously, this is like the best thing to look after a dumb day at school..